The Raleigh Child custody process can be best described as a conversation between two parties guided by an impartial professional mediator. The object of mediation is to assist parents in exchanging information regarding their children’s best interest and working together to reach an agreement that is beneficial for the children and promotes each party’s parental relationship with their children. 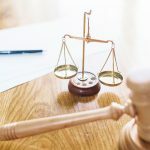 There are two methods by which parties can mediate their child custody issues: private mediation and mediation through the North Carolina Child Custody and Visitation Mediation Program. Is a lawsuit required to be filed? No, the parties can agree to pursue mediation without having filed an action for child custody Yes. This program available only to parties with a pending child custody action. Unless someone seeks this requirement to be waived by the Court, all parties with a child custody matter being are required to participate in this program. What kind of experience will my mediator have? Since you may hire any mediator you like, you may have a mediator who is themselves a family law attorney or former judge. You can also select someone not licensed to practice law, but may have significant psychological training as well as mediation training. You are assigned a mediator through the program without input by either party. Mediators hired to work for the program have at least a Master’s Degree in one of the counseling fields and extensive training in family mediation. Will I have to be in the same room as the opposing party? Not necessarily. Most private mediations are done with each party in a separate room and the mediator takes offers to the different room to facilitate the discussion without the parties being in the same room. In most cases the parties are in the same room with the mediator. Can we mediation other issues related to child custody, such as child support? Yes, if both parties agree to do so. No, but your attorney will be provided a copy of any draft parenting agreement so you and your attorney can review it and discuss any possible changes that should be made. How Should I Prepare for Mediation? One of the most important things you can do to prepare for any kind of mediation is make a list of what your goals are for your Raleigh child custody case and what you feel the opposing party’s goals may be. Some of these goals will most likely relate to the physical custody schedule of the minor children as well, how will major life decisions for the child be made and how will communication be handled to maximize your co-parenting relationship. Regarding the physical custody schedule, you should be sure to know what school schedule your child operates under currently as well as how that may possibly change in the future. How realistic is it that both parties can timely get the minor children to school on time under a proposed custody schedule? How will extracurricular activities of the minor children be addressed when the events overlap onto each party’s custodial time? What holidays are important to you as well as the opposing party? How will child care be arranged when one parent is not available for a particular period of time when it is their custodial time? Making major life decisions for the children is most often shared between the parties. Sometimes parties are unable to effectively co-parent for various reasons. If one party will not agree to give the other party sole decision making authority, which is usually the case, you can consider designating some issues to be decided by one parent and other decisions being decided by the other. For example, it may be agreed that the mother makes final decisions regarding education and the father makes final decisions regarding religious upbringing. Communication is important to having a positive co-parenting relationship. Having boundaries in place in your agreement can ensure that communication is done in an effective manner. Some suggestions are that all communication be limited to addressing issues related to the children, that it be done in a cordial manner, that the communication be done in writing (including e-mail or text) as well as implementing time deadlines in which to respond to requests to name a few. Is Mediation right for my situation? Sadly, mediation is not a good fit for every situation. If you have serious concerns for your safety or the safety of your children, mediation may not be a good fit for your situation. Also, if you or the other party have substance abuse issues, mental health issues or alcoholism issues, mediation may not be a good fit for your situation. Overall, never lose sight of the goal that child custody is not about you or the other party – it is about what is in the best interest of your children. Your children love each of you, and your goal should be for the two of you to provide your children with a safe and positive environment that promotes the relationship between the children and each parent. Raleigh mediation provides an opportunity for you and the other party to make these decisions directly affecting your children yourselves versus having the decision being made by the Court. If you need assistance from an experienced Raleigh child custody attorney for your North Carolina child custody case, please contact us. We would be happy speak with you and work with you to ensure your custodial rights are protected. Contact our legal team by phone at 919-301-8843 or by completing the form below. 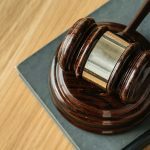 What is Mandatory Custody Mediation?